How Do We Decide Where to Spend Research Money When in Comes to Depression? “A Review of the Clinical, Economic, and Societal Burden of Treatment-Resistant Depression: 1996-2013” was published August 1 in Psychiatric Services. The review found that the annual costs, combining health care and productivity losses, for someone with treatment-resistant depression were nearly double those of someone with treatment-responsive depression and nearly quadruple those for the general population’s health-related costs ($20,120 vs. $10,592 vs. $5,095). From NAMI California: Suffering from depression is a serious health issue – one that affects between 15 and 17 million Americans every day. Thankfully, a number of different treatment options are now available that can help those suffering from depression overcome their problems and get their life back to where it should be. While medication, healthy lifestyle options, and counseling can all have an influence on one’s depression, one of the most important things for anyone looking to combat their depression is to have a solid support system in place. That support system should be made up of friends and family who love them and can offer the kind of support that is needed. If you’re one of the many who know someone who is combating depression, you’ll likely find yourself in the position of being a part of a support system. This isn’t something to become stressed or panicked about, however. As long as you understand the basics of helping provide support to a loved one, you can help them overcome their depression in a significant way. There are a few tips that can help you provide the highest level of support possible, and understanding them will ensure that you give your loved one everything they need to overcome their mental illness. • Be Patient – It’s important to understand that the problems your loved one is suffering from are very real and not just imaginary. You’ll need to be patient and understanding of their struggle, not judgmental. • Motivate Them – A big part of recovery from depression is getting active and leading a healthy lifestyle, but it can be hard for sufferers to find the motivation to do so. Help them by providing motivation, offering to participate in activities with them, and more. • Don’t Offer Advice – One of the biggest issues that depression sufferers face is the constant barrage of advice from their loved ones. While it is almost always well-intentioned, the fact is that telling them your opinions on how to deal with what they’re feeling won’t usually help – it will only add to the problem. Instead, simply support them in what they’re doing and working through. It’s a better solution, with much better results. As a loved one, you’ll be a key part of someone’s battle against depression. The points above can help you give them the support they need to win that battle for good. We can help as well. For more information, contact us at NAMI California today. we advocate for mental health and we have support. Is Depression Making Me Sleepless, Or Is Insomnia Making Me Depressed? Depression and insomnia are common and possess common symptoms. Some estimate that 30% of Americans will eventually experience clinical depression, and perhaps 40% of adults complain that many or most nights they don’t get enough sleep, wake too often, or feel unrested on awakening. So which came first the chicken or the egg? One of the earliest symptoms for many depressives is insomnia. They can’t fall asleep. They can’t stay asleep. There are times you can almost diagnose depression by looking at individual sleep studies. Deep sleep, where we produce growth hormone, a stage critical for memory and decision making may altogether disappear with depression. Awaking and arousals increase dramatically. Sleep becomes highly fragmented. REM sleep is often broken up, and its very appearance changes. Rapid eye movement may appear both erratic and dense. As people become depressed they often identify sleeplessness as their main problem. Insomnia is common and holds little stigma; depression is a “disease” that can cost you jobs, insurance, relationships and self-esteem. People in depressive episodes often seek sleeping pills, sometimes with desperation. Generally they feel better – for a while. Unfortunately the quality of sleep tends to decline as long as the depression is not fully treated. Frequently sleep medications stop working altogether. Behavioral and other regimes may also then fail. Many times depressed people tend to take enormous doses of sleeping pills and then they hardly sleep at all. Sleep can be the last thing to normalize in a depressive episode. So it’s strange to many, including sleep clinicians, that depression can also cause insomnia’s opposite – prolonged sleepiness. It’s even more of a surprise that forcing people to stay awake at night can improve depression. Insomnia and depression are directly related – both influence each other. If you are an insomniac, the lack of rest required for your body’s natural regeneration provokes a greater tendency to depression. Depression itself massively reorders sleep, often in the form of horribly disrupted sleep and seemingly “untreatable” insomnia. Insomnia and depression are deeply interlinked, as are the brain areas involved in both. 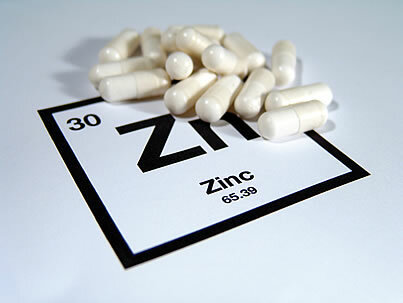 From Psychiatric News Alert: An analysis of studies measuring blood concentrations of zinc has found concentrations lower in patients with depression. The senior researcher was Krista Lanctot, Ph.D., of the University of Toronto, and results are published in Biological Psychiatry. It is not yet known whether depression creates a zinc deficiency or a zinc deficiency helps set the stage for depression. Either is possible. Appetite changes are a common component of major depression. On the other hand, a zinc deficiency can induce depressive-like behaviors in animals, which can be reversed by zinc supplements. Either way, “the potential benefits of zinc supplementation in depressed patients warrant further investigation,” the researchers note.